Dr. Karl Karlstrom has spent a lifetime studying rocks. A professor of geology in University of New Mexico’s Department of Earth and Planetary Sciences (E&PS), Karlstrom has carved out an impressive academic career conducting research on rocks at one of the world’s most famous laboratories in one of the most fascinating places – the Grand Canyon. Karlstrom, who has been at UNM for 22 years including a full professor since 1994, has spent a good portion of his academic career studying rocks while working to understand geologic time and Earth processes. He is a foremost expert on geologic evolution of Grand Canyon, and has made major contributions to evaluating mantle influences on the near surface hydrologic and geomorphic systems in the Colorado Plateau-Rocky Mountain region. Now, he’s being recognized for his career as the recipient of the 2015 Annual Research Lecturer award, one of the highest honors that UNM bestows on its faculty. 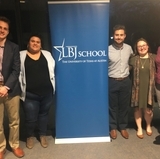 The selection is made by the UNM Research Policy Committee and through nominations from peers across the United States and abroad. As part of the ARL honor, Karlstrom presents a lecture, “It’s about Time: Forty Years of Geologic Work in the Grand Canyon- Rocky Mountain Region,” on Thursday, April 23 in the Student Union Building (SUB) Ballrooms A&B. The event starts at 5:30 p.m. with introductions to the Provost's Shared Knowledge Conference. Karlstrom’s lecture follows at 6:15 p.m. with a reception afterwards. "The integration of research and teaching is what academia should be about. I’m being honored for my career work mostly at UNM, but to me, the success of my career has been the integration of research and teaching through working with and mentoring students." Karlstrom’s research specialties include structural geology and tectonics. His interests include formation and stabilization of continents, the supercontinent cycle, the two billion year tectonic evolution of the southwestern U.S., mantle-to-surface tectonic interconnections, dynamic topography, and neotectonics. One massive example that tries to illustrate geologic time is the recently installed Trail of Time Geoscience Exhibition at Grand Canyon. Designed and installed by a UNM team led by Karlstrom and his wife, E&PS Professor and Chair Laura Crossey, The Trail of Time encourages many of the Grand Canyon’s five million annual visitors to ponder, explore and understand the magnitude of geologic time and the stories encoded by Grand Canyon rocks, landscapes, and waters. 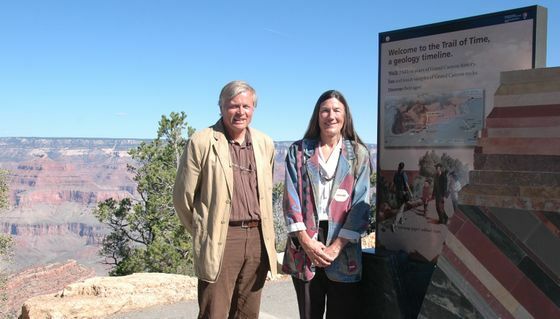 Dr. Karl Karlstrom, and his wife, E&PS Professor and Chair Laura Crossey, next to the beginning of the Trail of Time where visitors can traverse two billion years to ponder, explore and understand the magnitude of geologic time and the stories encoded by Grand Canyon rocks, landscapes, and waters. 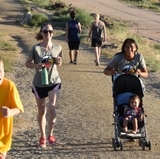 Their project took 15-years to complete (1995 to 2010), was enabled through support from the National Science Foundation and Grand Canyon National Park, and was the winner of the 2011 first place award from the National Association for Interpretation in the Media Awards Competition. Instead, Karlstrom’s research suggests that uplift in the western U.S. and carving of deep canyons has taken place in several episodes, and is ongoing today. 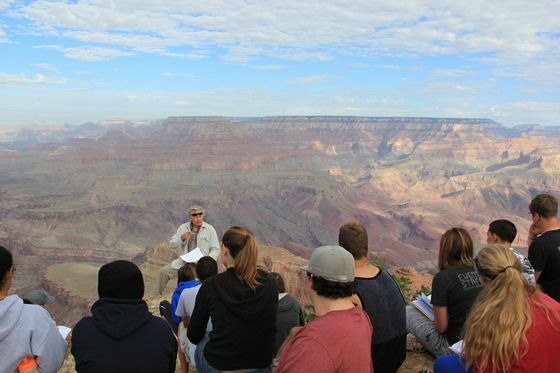 But perhaps, more rewarding than his 40 years of geologic work in the Grand Canyon-Rocky Mountain Region, is the impact Karlstrom has had on students throughout his career. He has mentored 56 graduate students to completion including five post-docs, nine Ph.D.’s, 42 Masters’ of Science and numerous undergraduate theses. He currently has two Ph.D., four M.S. and three B.S. active students. 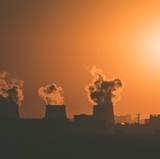 Most of his students have authored peer-reviewed publications and many of the students have gone into the professoriate and other influential geosciences positions. from one of his laboratories – the Grand Canyon. Karlstrom has generated $5.15 million in external funding, including more than $3.4 million in the last 10 years. He has had continuous funding from the National Science Foundation (NSF), including three active NSF grants. He has published 170 journal articles, 23 geologic maps, 57 technical reports and guidebook articles, and more than 430 abstracts from professional meetings, most coauthored with students. Karlstrom received his B.S. in Geology from Northern Arizona University (1973), his M.S. in Geology (1977) and Ph.D. (1981), both from the University of Wyoming.